Princeton is back, perfecting the buoyant sound they captured on their debut release Cocoon of Love. 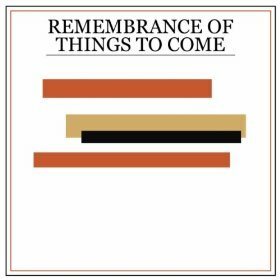 Remembrance of Things to Come, the second album by the Los Angeles-based indie pop band, hosts ’80s synth-pop melodies that will cause your head to bob uncontrollably. The tracks on this album host more depth, both lyrically and musically than on their previous album, kicking it up a notch from the Vampire Weekend niche. Kivel brothers and company offer more electronics and stronger drum beats as well as catchier tunes. Lead singer, Jesse Kivel, has taken on a side project this last year as half of the dream pop duo Kisses, which boasts an effervescent vibe that has carried into Princeton’s updated sound. The band has been applauded for their stage performances and undeniable presence; needless to say, Remembrance of Things to Come would create an awesome set list. If you’re hanging onto a bad mood, don’t listen to this album. If you’re looking for ear candy, you’ve found it.